Our RAPO™ product line is an excellent alternative for many common rehabilitative patient needs. 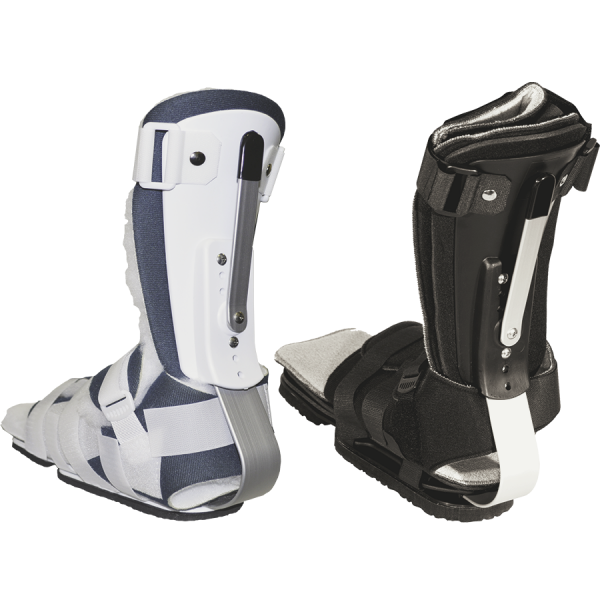 RAPO™ Orthosis is a newer, low cost product line that provides the same structural superstructure as the PRAFO® Orthosis, but costs considerably less than the traditional PRAFO® Orthosis. It’s still structurally superior over the common one piece plastic orthoses, and offers multi-functional adjustment options for many rehabilitative needs. When you need a PRAFO® Orthosis that’s both reliable and affordable, you’ll see how our RAPO™ Orthosis line delivers both. The RAPO™ line more than meets the needs for low-cost rehabilitative orthoses. The PRAFO® Orthosis is our gold standard with its vinyl reinforcement of the foot liner and three loop/chafe and Velcro® strap closures. Again, the RAPO™ line is an excellent alternative for most rehabilitation needs and structurally superior to competitors’ Kydex®/PVC plastic-based designs. Recently updated, the RAPO® is the most advanced non articulated AFO system of it’s kind unlike any other design on the market today. Give us a call for guidance on which product is right for your patients. We can help you to decide which RAPO™ Orthoses best fits you and your patient’s needs. The only difference in our RAPO™ line compared to our traditional PRAFO® Orthosis is the liner system. We offer 2 variations of; Kodel with three overlap Velcro® straps on the foot liner, Terry cloth with one loop/chafe and Velcro® strap closest to the ankle with 2 overlap Velcro® straps to finish off the foot liner securing system. 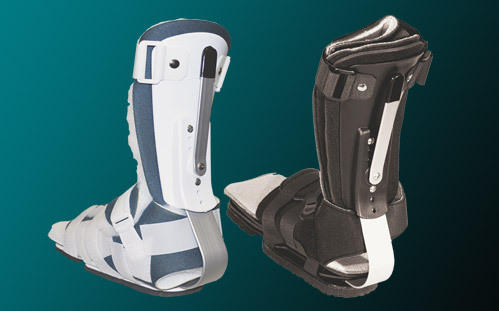 No vinyl reinforcement is incorporated into the foot liner of the RAPO™ Orthosis design.